Unless otherwise specified, the large pictures on this page are of cars in the collection of The Upstairs Train. 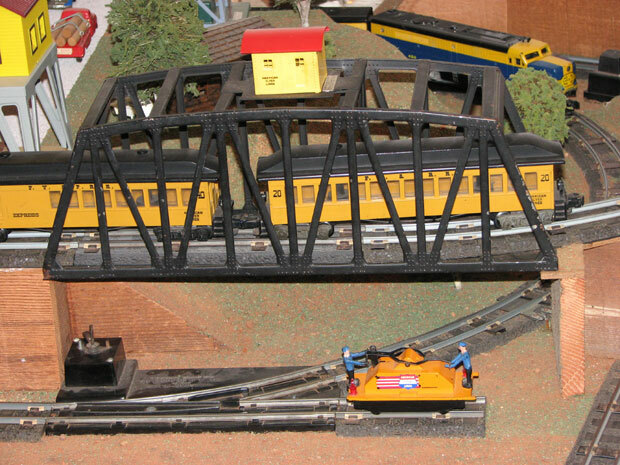 If you have a picture that you would like to share with the world of any of the bridges or trestles not shown here (or a better picture of one that is shown! ), email them to me: theupstairstrain@yahoo.com. Click here for a list of the pictures I need to complete the Gallery. #750 aluminum-painted sheet metal Trestle Bridge made in 1946 thru 1956. 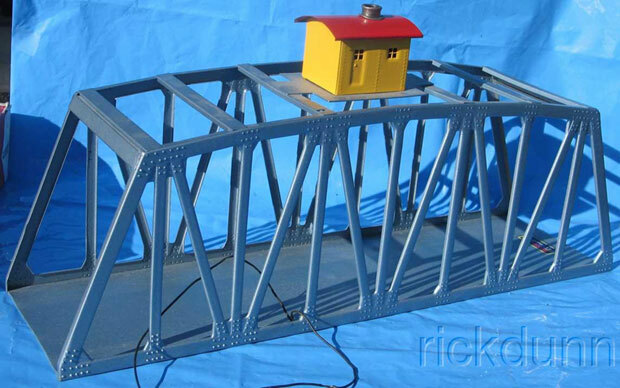 #750 blue-gray-painted sheet metal Trestle Bridge made in 1946 thru 1956. #750 black-painted sheet metal Trestle Bridge made in 1950 thru 1956. 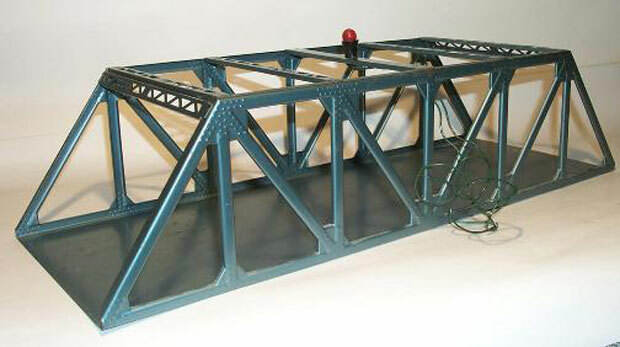 #753 Single Trestle Bridge with rotating beacon made in 1952. Actually, this is the Colber version, but the Gilbert one looks the same. 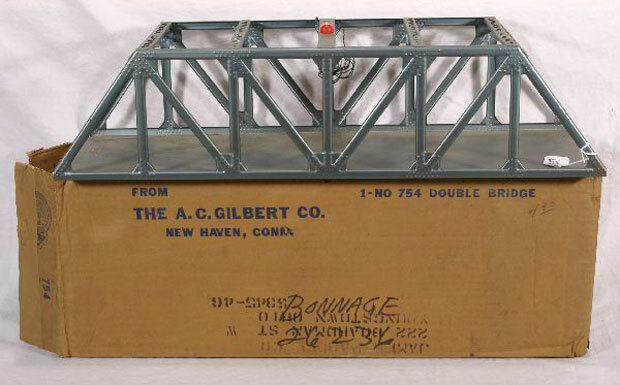 #754 Double Trestle Bridge of aluminum or gray-painted sheet metal with rotating beacon made in 1952.
with non-rotating red warning light made in 1950 & 1951. It was also made of metallic blue sheet metal. Finally, it was made of gray-painted sheet metal. #770 die-cut gray cardboard Girder Trestle Set made in 1960. 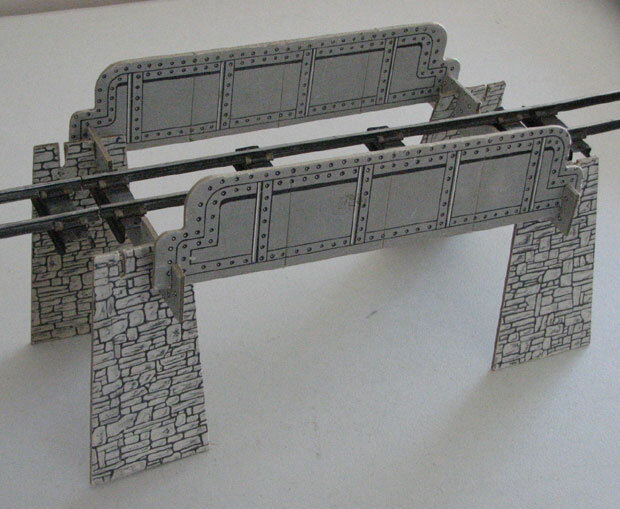 It contains 30 upright trestle supports. It looks a lot like the #747 Figure-8 Trestle set above. 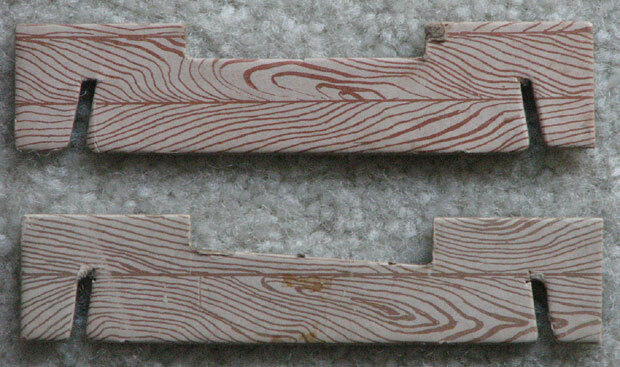 Its 24 beams (the lower one) are cut on an angle to bank the curves, unlike those on the #747 (upper). 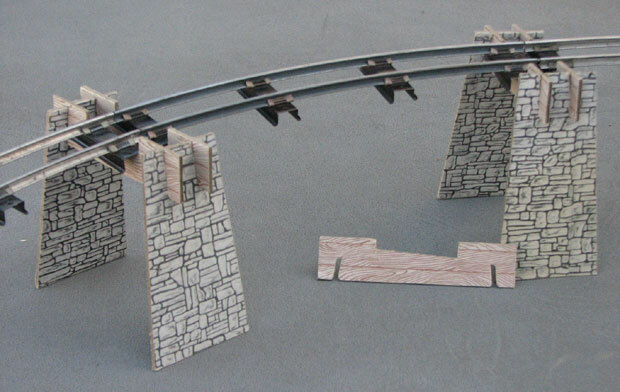 The set comes with two Girder Bridges, a long one and a short one. I don't know whether this is the long one or the short one. To accomodate the bridges are six cross beams that are longer than the others. 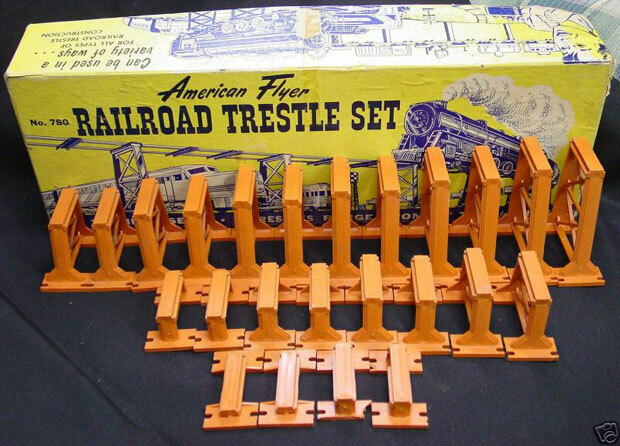 #780 set of 24 graduated orange trestles made in 1953 thru 1956. Show me the rest of the bridges.